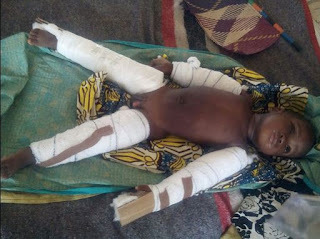 The Kano State Police Command on Monday arrested two housewives, Zainab and Hafsatu Musa, who allegedly tortured and broke the legs and arms of a two-year-old boy. 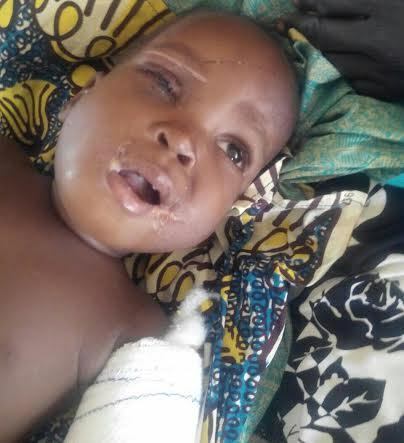 The two suspects allegedly broke the legs and arms of 2-year-old Musa Murtala, cut his tongue, removed his eye and private parts. The women are reportedly married to the same man, Musa but the child belongs to the third wife, who had packed out of the house. Musa, a resident of Gulu town in Rimin Gado Local Government Area of the state, was said to have divorced his third wife, who left her two-year-old boy with him. However, Musa handed the boy over to his senior wife, Zainab, to take care of, but unknown to him, the boy is usually subjected to torture by the two wives, because he was not their child. Confirming the report, the state Police Public Relations Officer, PPRO, DSP Magaji Majiya, told newsmen the women had been arrested. He said the incident occurred on Friday. He said, “When the women’s husband, Musa, came back home about 8pm, he met his two-year-boy laying in critical condition. The state Police Commissioner, Abbati Dikko, upon the arrest, reportedly directed that they be transferred to the State Criminal Investigation Department, SCID, for further investigation.